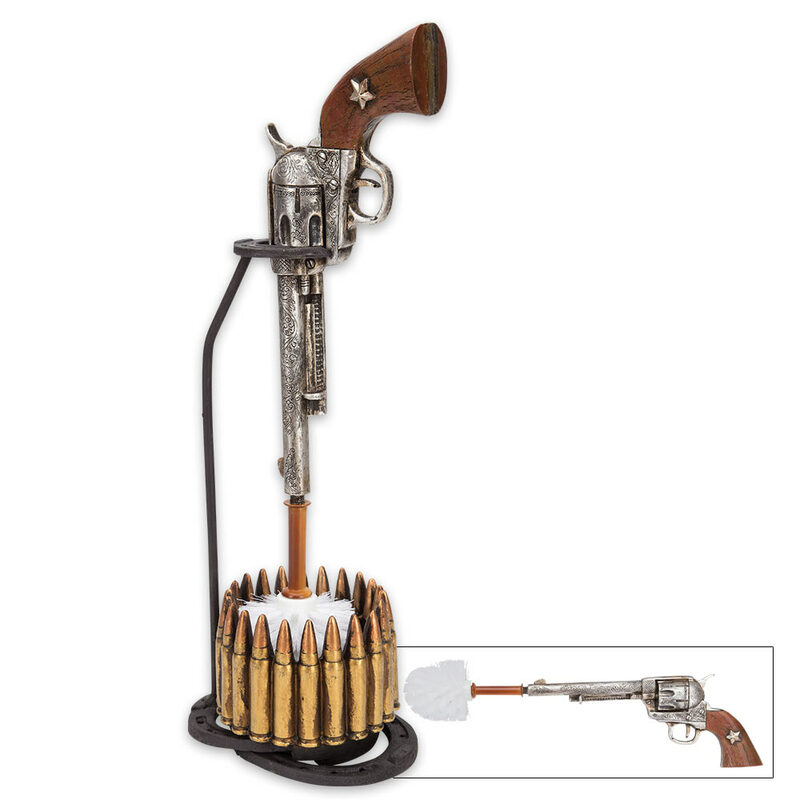 Wild West Revolver and Bullets Toilet Brush Holder / Resin Sculpture | BUDK.com - Knives & Swords At The Lowest Prices! The ubiquitous toilet brush is simply a necessary eyesore in any bathroom, haphazardly wedged between the throne and the wall, out-of-sight and hopefully out-of-mind - until now. 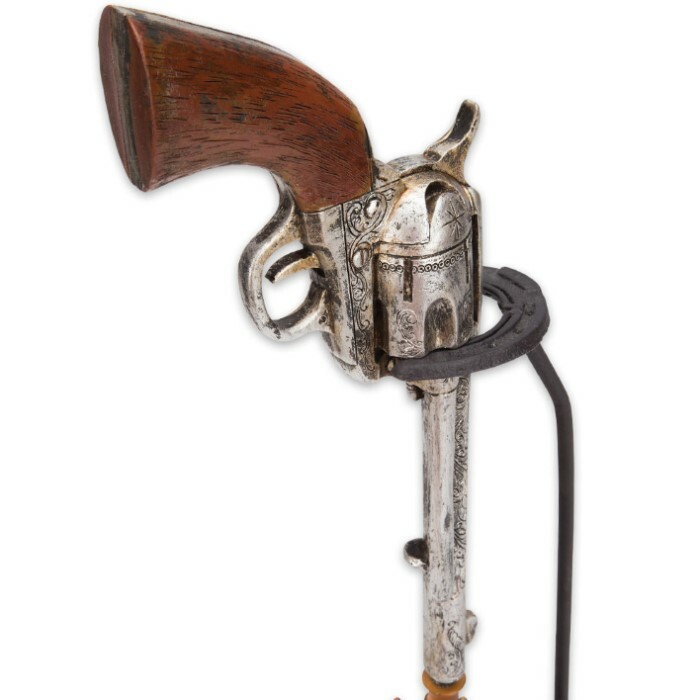 Make your toilet brush a vibrant, eye-catching showpiece and the commode a shining example of your home decor wizardry, with this quirky, undeniably cool Wild West Revolver Toilet Brush Holder! Vividly colored and beautifully detailed, this practical sculpture depicts a circle of bullets at the base and a classic cowboy pistol at the top. 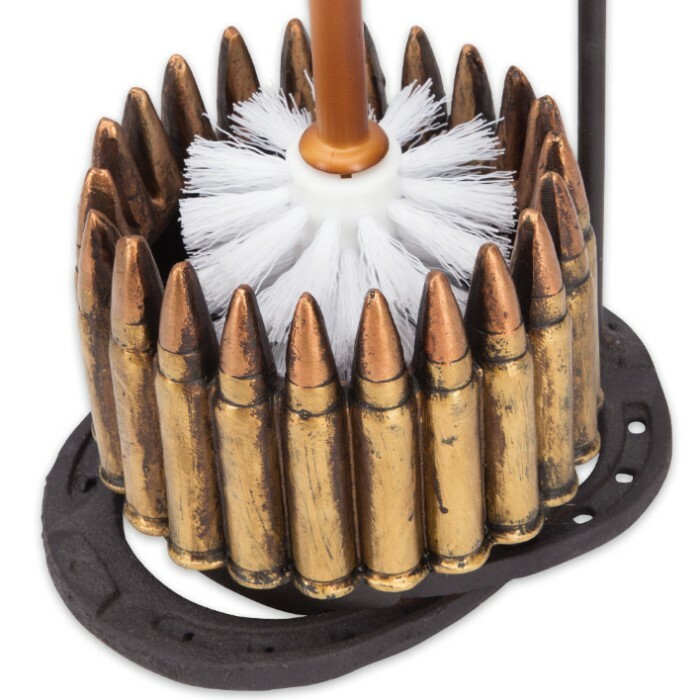 The ammo corral provides an ideal cavity to store any standard toilet brush, and the realistic-looking hangun offers support for the brush handle. A far cry from your ugly old nondescript toilet brush stand, the Wild West Revolver Toilet Brush Holder is sure to put a smile on every face. Makes a great gift for Western fans, firearms enthusiasts or anyone with an eccentric, adventurous sense of style!